I’ve always admired this “part Renaissance maiden/part Boho” hairstyle. I played around last week and finally figured out how to do it. It’s pretty tricky to try on your own since you have to make a braid going straight across the back of your head. 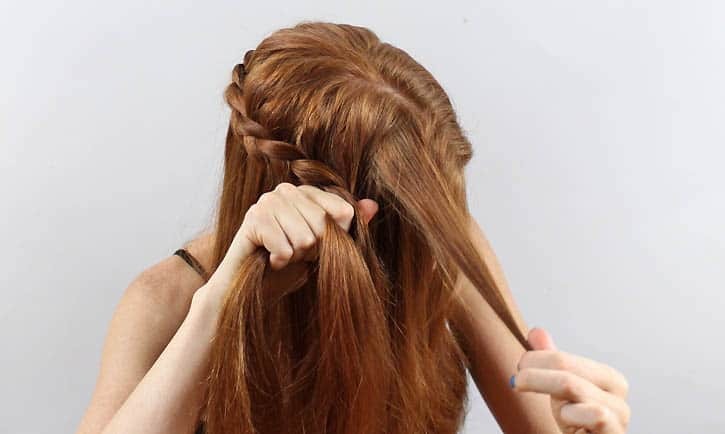 If you’re not experienced braiding hair you might want to enlist the help of a friend. You don’t need very long hair to try this. 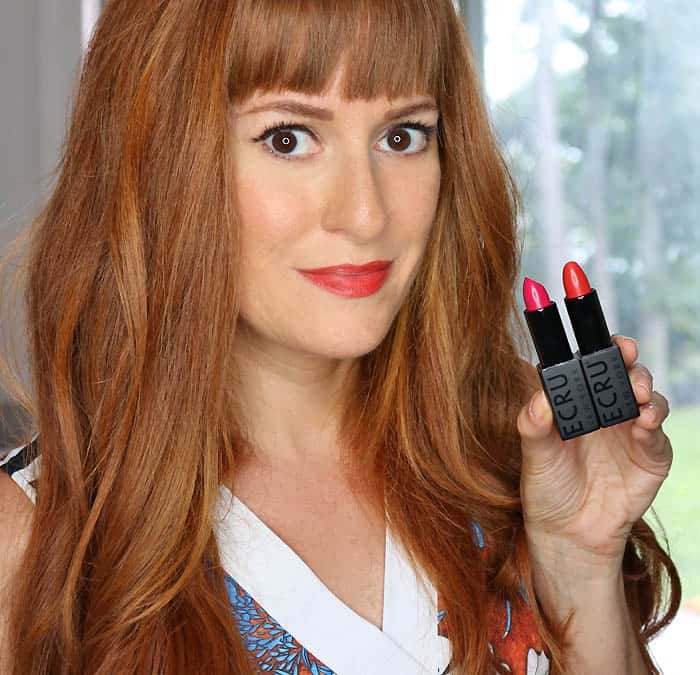 Hair that falls a few inches below your shoulders should be fine. 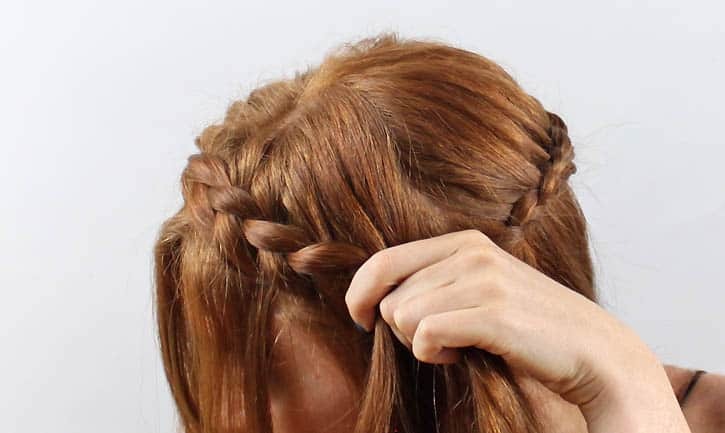 First things first, you’ll need to learn how to make an under braid. 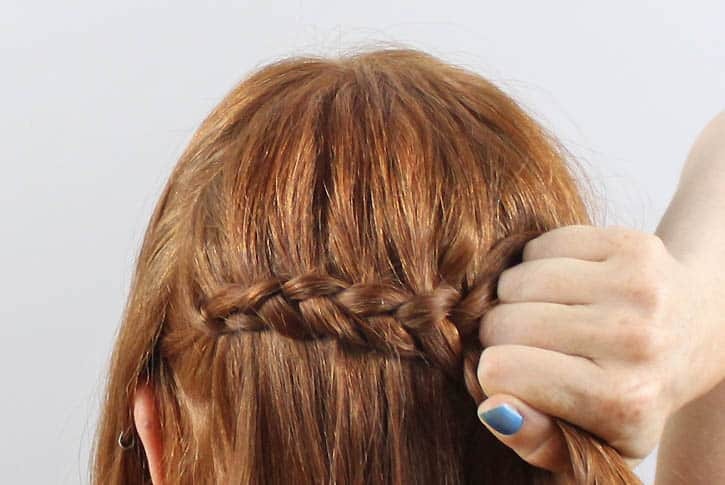 An under braid is the reverse of a regular braid. The strands are crossed under instead of over each other. Here’s a good tutorial. 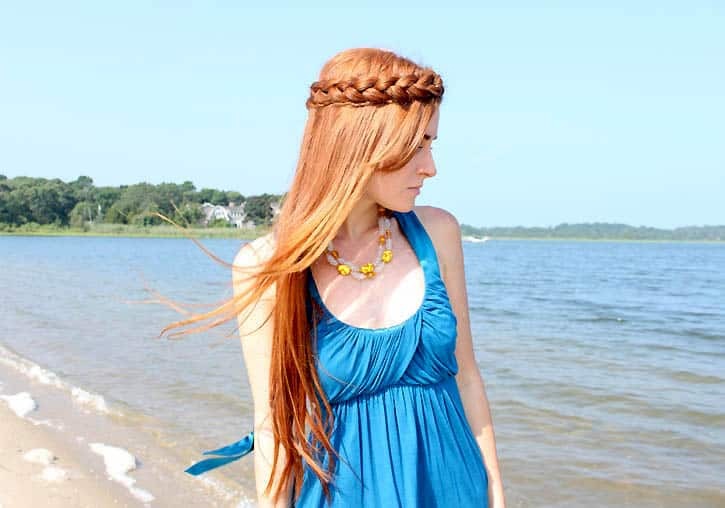 I don't think I have enough hair to do this but it looks absolutely stunning! GOT YOURSELF A NEW FOLLOWER. 😀 follow me? You just gave me another reason to stick to my decision of let my hair grow. This post is really cool! Thank you so much for the lovely comment on my blog. I hope you'll keep visiting it. so pretty. i love your hair color! i've attempted so many times to create a fishtail braid, but i'm not very talented when it comes to hair, haha. so cute 🙂 and you made it look so easy! your hair is soooo beautiful!! wow great tutorial! Totally going to try that out! 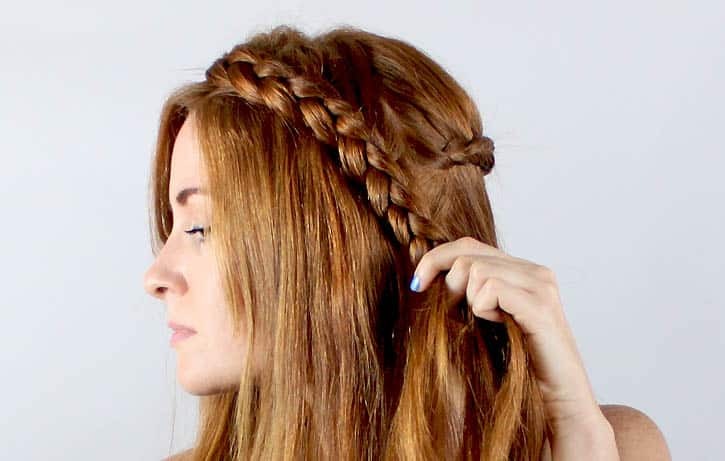 Your hair tutorials are fab and this one is the most stunning. Shame I found it impossible! so talented! i love braids but find the french kind so difficult to do at the back of my head. thanks for making it look so easy…may have to give it another go. just found your blog. woohoo. 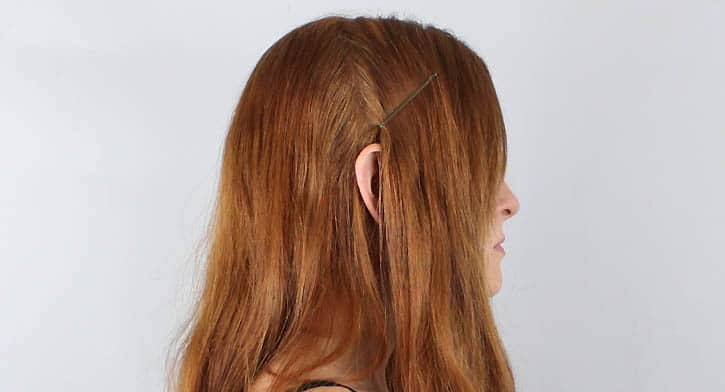 you hands down have some of the most unique hair styles. i am going to rock (read: attempt admirably and probably haphazardly) this do' tomorrow. grazie for the idea! beautiful! I've linked to this post on my blog. I love this! I've figured out the waterfall braid already, so this is just a continuation of that. Looks like fun to me, and amazing on you!